Bone grafting in dentistry is often confused by patients due to lack of education on part of the dental profession. When and why do you need bone grafting procedure is dependent on timing of dental extractions, and whether you need dental implants. If a tooth is hopeless and needs extraction, the success of dental implant depends on bone grafting the extraction socket. This procedure is called “socket graft” and ensures that bone is preserved when the implant is placed. If the patient did not do the socket graft after extraction of the tooth, the bone tends to resorb and will not be adequate in the future to place an implant. However, if the patient desires to have implants on resorbed bone with previous extractions, another procedure of bone grafting can be performed that is called “ridge preservation”. This drastic procedure is done by transplanting bone from another site in the mouth or use cadaver bone. We recommend doing “socket graft” after extractions to preserve the bone for future implant placement. This procedure is simple and is done under local anesthesia. Contact the office of Complete Family Dentistry for all your oral surgery health needs. Call us at (954) 564-3244 to schedule your appointment now. We are conveniently located at 3015 Bayview Drive, Fort Lauderdale. He is one of 400 dentists in the USA to hold a Diplomate Certification with the ABOI/ID. "Dr. M is a caring and kind doctor that truly cares about his patients oral health. My sons actually love going to get their teeth cleaned at least 4 times a year! Indira has a gentle touch even when she does deep scaling treatments." "This office is wonderful!!! It is very clean, and the staff are people who really care about my dental needs. The doctor takes the time to explain in detail the dental work that I've been putting off for years. I got braces and the results were outstanding. I feel very confident about my smile and I have peace of mind that Dr. Moushati will take care of my dental needs with high standards. I highly recommend this office to anyone who is in need of dental care. 5 Stars!!!" 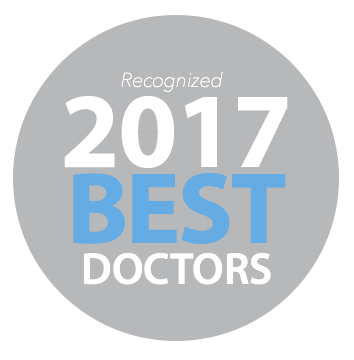 "Dr. Moushati and team are the best in their field! They care so much about each one of their patients and they listen to exactly what you need. When you go to their office you always know who will be seeing you so you can feel comfortable about going to the dentist! They also have a private pay/insurance plan for their office that is so affordable! I highly recommend!" Have Questions? Call Us Now (954) 564-3244 OR Schedule Your Visit!